As for a long time we have seen a lot of patent war between Apple and Samsung regarding patents and injunctions. 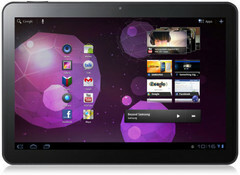 Recently Apple has been granted a preliminary injunction against U.S. sales of the Samsung Galaxy Tab 10.1. The ruling was handed by US District court Judge Lucy Koh, for the Northern District of California, as reported by Reuters. This order will come into effect after Apple posts a $2.6million bond to protect Samsung if the injunction is found out to be unnecessary later. It has also been cleared by Koh, that Samsung has all right to compete but only not unfairly, by flooding the market with infringing products. An Apple spokesperson also mentioned that this kind of copying is wrong and have also earlier said that they need to protect Apple’s intellectual property. Apple also seems to seek ban over the latest Samsung Galaxy SIII Smartphone in the US, however the effort has been tabled earlier but Koh, the Judge said that there are already a lot of issues to consider. The lawsuit battle between these two giants is on from April 2011 when has been under judgment in various courts across the world as in parts of Europe, parts of Asia and even Australia. For now Koh has also ordered the CEO’s of Apple and Samsung to meet face to face and to try to reduce the number of claims from both sides. Both these companies have still a few lawsuits filed against each other. This order has also resulted in a drop of the number of patent complaints between them.